From essays to dissertations, we have experts for all of your assignments! Writing a convincing title for a research paper is challenging. 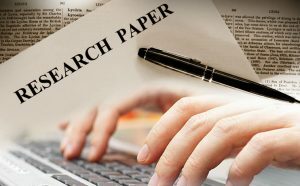 Without a good title, the research paper would not attract readers. A title is made up of a few words but it requires significant effort. Still, the following points will help you easily overcome any problem in this regard. The most important thing to consider while choosing the title in research paper writing is the content of the same. You should know the importance of the title in research paper. Your title should convey clearly what your academic paper is about. Otherwise, it will not fulfill its purpose. It is not difficult too and you can easily avoid mistakes by revising your paper. The title should be able to convey the findings of the research. It should also highlight the things that were researched as well. If you struggle, try our assistance today. The subjects and the results form the two vital components of any research paper title format. The selection of words for your title depends largely on the content of your paper. The title in the research paper should consist of a number of keywords. This will help others in finding your paper on the internet. Without the use of keywords, your research will become too difficult to find. Choosing the keywords is not a tricky affair as you would already understand the contents of your paper. You can write a sentence explaining your paper in its truest sense. Many tips contradict each other but this one is effective. After writing the sentence, you should remove useless words from it and select the most important words. Remember to provide the subject and result of your study in the title. For example, a study regarding the social condition of poor people in Europe will have keywords such as ‘poverty in Europe’ or ‘condition of poor people’. You might find a lot of keywords in your research paper through this simple activity. While your paper might contain a lot of technical terms, you would want to avoid the same with your title. A perfectly formatted research paper title would avoid jargons at all costs. That is so because it causes difficulty in comprehension and makes it difficult for college students to comprehend. If using a jargon is extremely vital only then make use of it in the title. Otherwise, try to keep the words simple so one can understand them easily. It will remove a lot of hassle for readers and thus help you in making your paper better in another way. To avoid jargons, you can use the best online solutions present currently, thesaurus and search engines. With them, you will be able to find replacements for your technical terms with much ease. It will also help you in increasing your knowledge. Another thing you can do is to use a research paper title generator. However, creating a title yourself would benefit you the most. Your research paper title should be interesting. It should not be full of difficult terms only. If the title does not catch the attention of the readers then it is wrong. You can look at research paper title examples in order to see the difference between a good title and a bad one. For inspiration and ideas, students should choose to check out the various research papers available to them. A title named ‘Economic situation of Africa’ and another title named ‘Crumbling slowly: A study on the impacts of economic crisis on Africa’ are completely different but each of them can be of the same paper. Notice the difference between them. While the first one is completely bland, the second one generates interest in the reader by using curiosity. When considering as to how to name research paper, keep this point in mind because it is extremely important. Many journals and publishers provide guidelines regarding their research paper title. You would not want to miss them because it can lead to a large number of problems. The guidelines could be related to the selection of words or the number of permissible characters. Your paper might get discarded or you might get into an embarrassing position because of this blunder. Therefore, double check the guidelines of the publisher before choosing the term paper title. Once you have done that, you can easily begin writing a good research title for your paper. With the help of the above tips, you can easily write a compelling title for your academic paper without putting any additional effort. Another thing you can do is to read the titles of other published papers. This will give you inspiration and guidance. We work hard to find the best academic and business writers for your assignments. Hesitating to place your first order? First-order discounts are always available. Each and every paper you order is written from scratch – no exceptions! We work round-the-clock to provide help and support whenever you need it. TermPaperEasy.com provides custom model essays and term papers for inspiration and learning purposes only. Please do not forget to cite us as a source should you decide to use any part of the paper your receive from us in your own work.